There’s nothing quite like a festive pom pom garland to perk up any celebration. 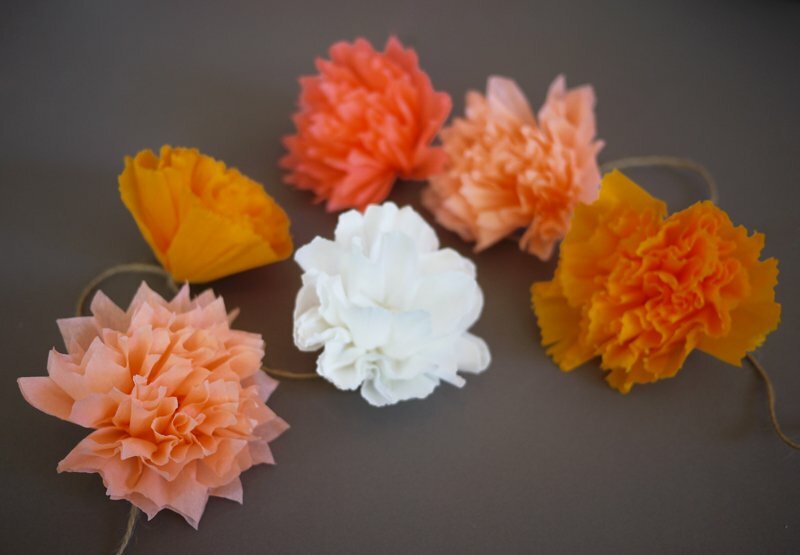 I love using good quality crepe paper in lieu of tissue paper when making pom poms as it’s more durable and comes in a wider variety of vibrant and glorious colors. Garlands are absolutely one of my favorite things to incorporate when decorating a party and I’m sure you’ll agree that they are incredibly easy (and addictive) to make! Stack 5 sheets of crepe paper on top of each other. 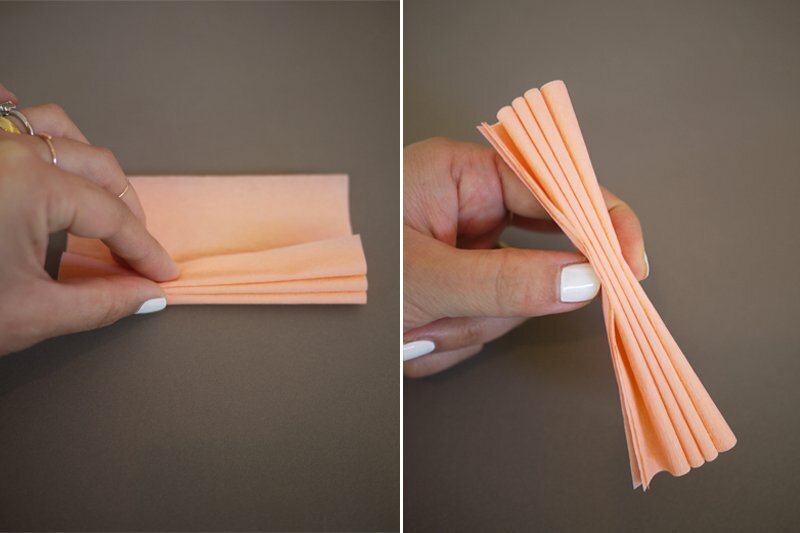 Fold into an accordion, with each fold measuring approximately 1/2″ each. 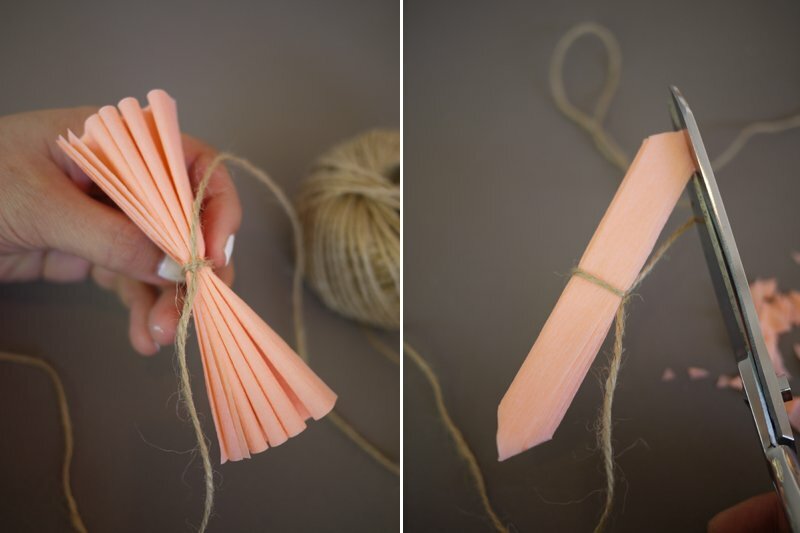 Tie a piece of twine around the middle of the bundle. 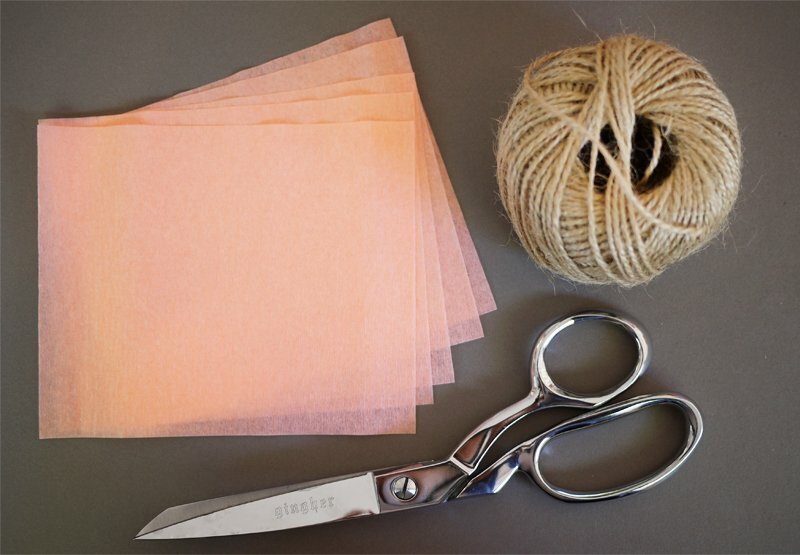 With scissors, trim each end into a point. Fan out the folds and gently pull each sheet forward. The knot should be on the backside of the pom pom. Do the same on the other side. Fluff out the pom pom. 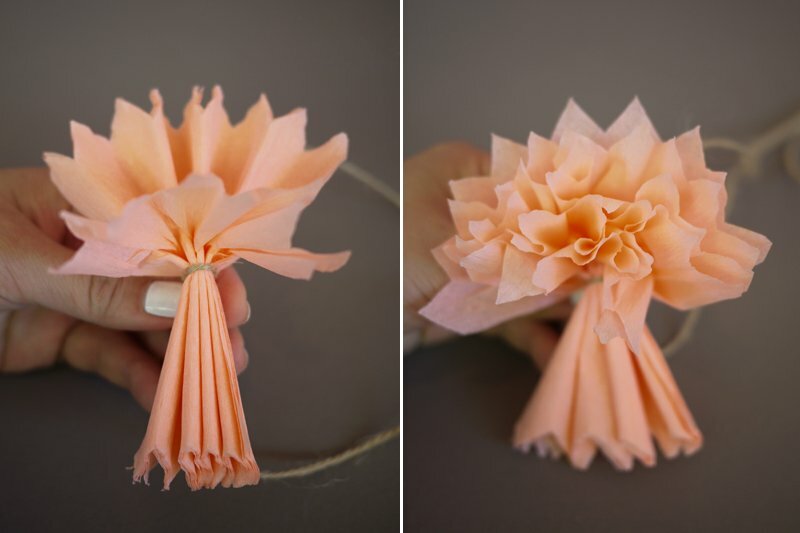 For a double sided pom pom, stack 10 sheets of crepe paper and pull up 5 sheets on the backside. Continue adding pom poms along the piece of twine. 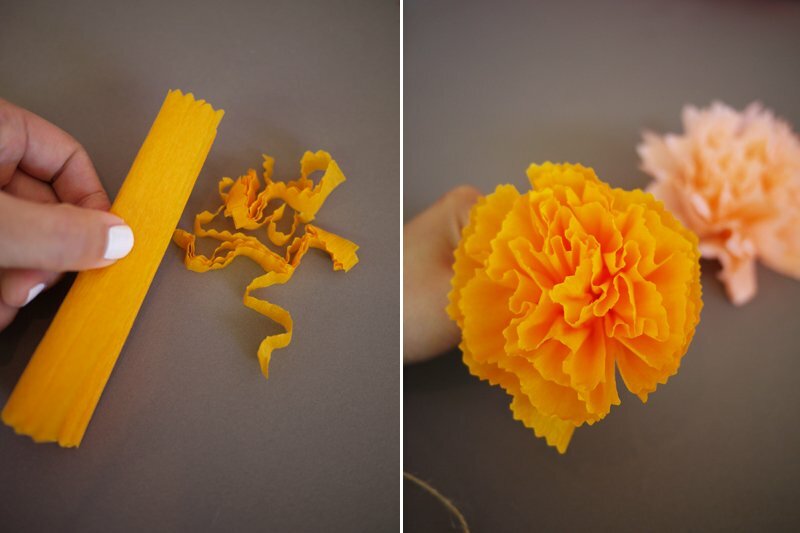 Use pinking shears for a pom pom that resembles a daffodil! Try rounding out the edges for a softer look. Continue adding pom poms until the desired length is reached. 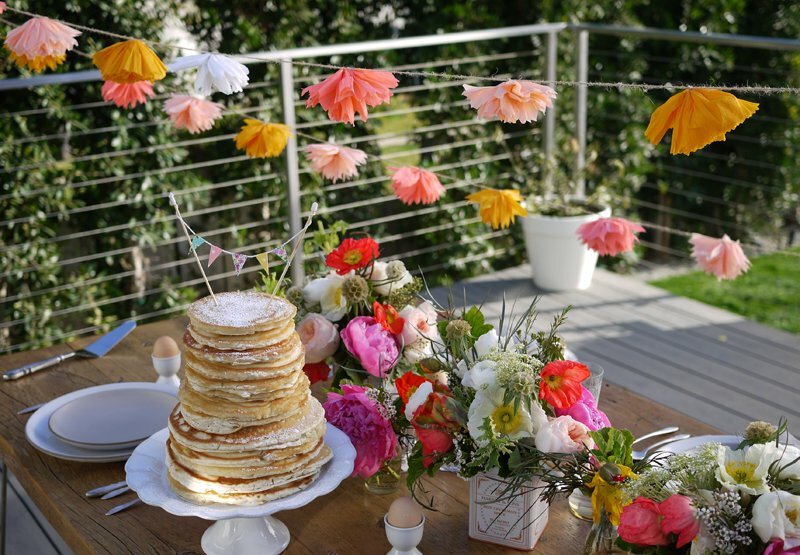 Love this idea for a garden party. 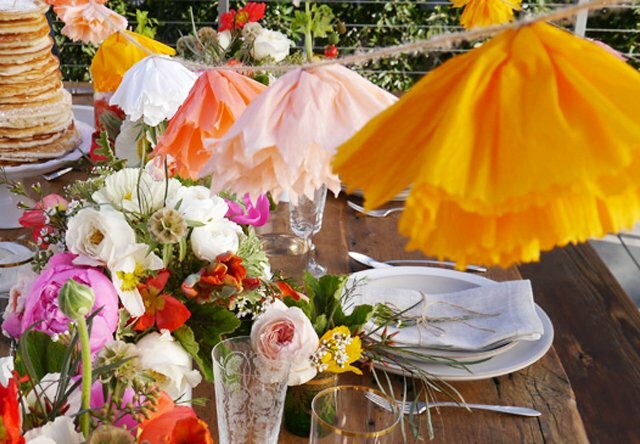 See it soon on pinterest/homedepot on the “Garden Party” pinboard. Thank you for such a beautiful tutorial! I can’t wait to try this. You know I ordered some pastel and silver poms and I was quite sure what to do with them. 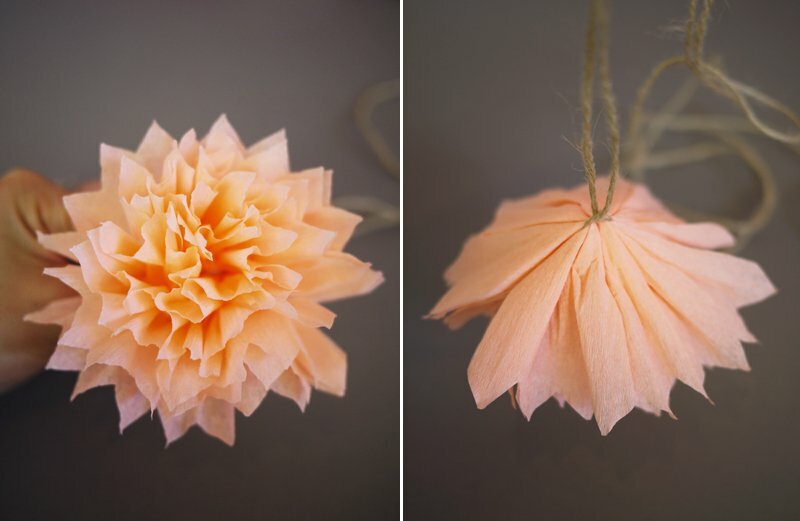 I’m planning my October wedding and the theme has a bit of whimsy:) This garland idea has given me great inspiration! Thank you so much for a well-done post! Beautiful ,spectacular, amazing are the 3 best words to describe your great thinking and your great project. Which 3 colors, excluding white, did you order from Castle in the Air? I love that color scheme! @Julie, I used the orange, light pink, and pink. All were fine – not florist. Thank you Rebecca! Let us know how it turns out. Juuuust discovered your little space via pinterest and I LOVE! 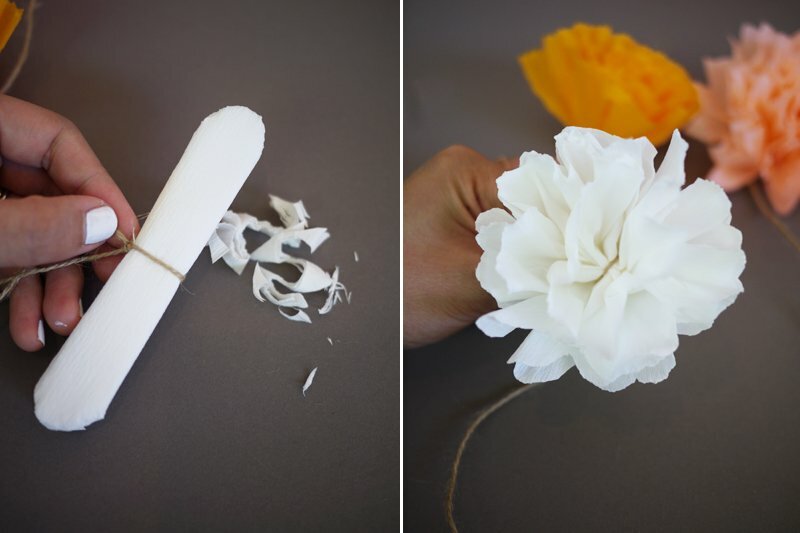 This little DIY/photoshoot is precious. Such a fan (and I’m making your kale salad for dinner)! these are just great. it’s so pretty how they look like real flowers. Could you make this with material instead? I want to congratulate you for site. I’m craving for the recipes of the food you made in the Honestly YUM video/brunch. Kisses from São Paulo (Brasil). the daffodil ones seriously look like daffodils! these are so cute! Love it! Cant wait to try them out! love the new site – it is so pretty. and i can’t wait to make these! J’adore et vous pouvez parler …d'”Addictions” ! C’est une Vérité mais, celles là sont bénéfiques . This looks great and gives a summer feeling! I love love these!! I’m planning my wedding now and I know your website & pinterest is gonna be THE PERFECT RESOURCE for me!! Thanks so much!!! These are beautiful & I can’t wait to make them!! Uhm, genius. I love this idea. Now I’m ready to plan a kicking-off-spring bbq party with these. This new site if so inspiring, keep up the good work. Excited to see what’s to come for you guys! I’m loving Honestly Media. Aspirational fashion and now food, with DIY’s? My to-do list just got a little bigger. Also I need more friends simply so I can make 20 of those pancake towers. 10 ways to be more creative. Pattern Pulp – Friday Quick Links!